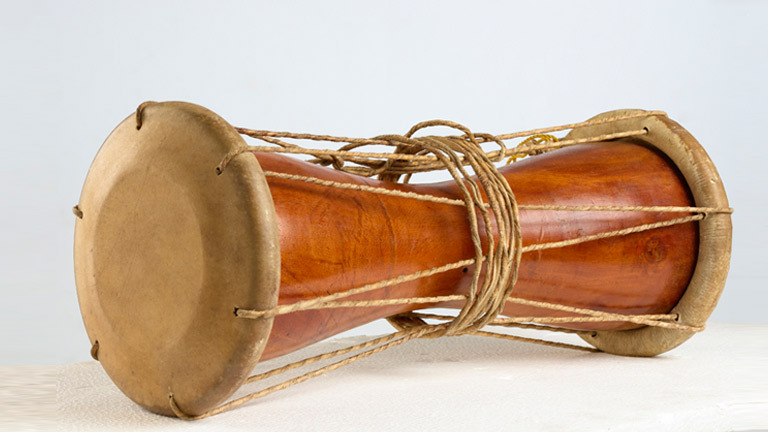 The Timila is an important instrument which sets the rhythm of the panchavadyam ensemble. It resembles the shape of "ural", a kind of pounding stone and is made out of a hollow trunk with a shrunk middle portion. The trunk is carved out from jack wood. The rounds are made using cow and buffalo skins. Timila is played by using both palms on one side. It is considered as a divine instrument and is used for temple rituals.